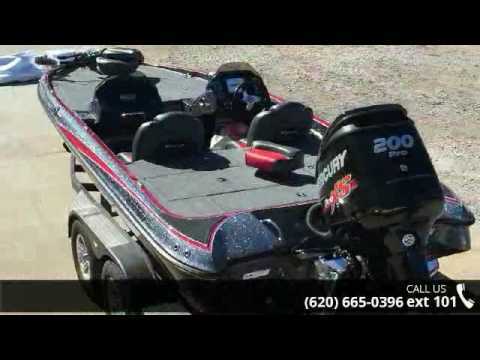 2017 Triton 19 TRX bass boat equipped with Mercury Optimax Pro XS 200 hp outboard motor and Minn Kota Edge 24V trolling motor. Boat includes rear ladder, livewell, Lowrance Hook 5 depth finder in dash, Hot foot, turn signal, tilt/trim switch, 12 amp 2 bank dual pro battery charger, stainless steel prop, hydraulic steering, rod storage, and tandem axle trailer with swing tongue and brakes. 4 person capacity. $1,500 rebate available. Please call before coming to view as our inventory changes location frequently.